St.Petersburg - New York. 2009. 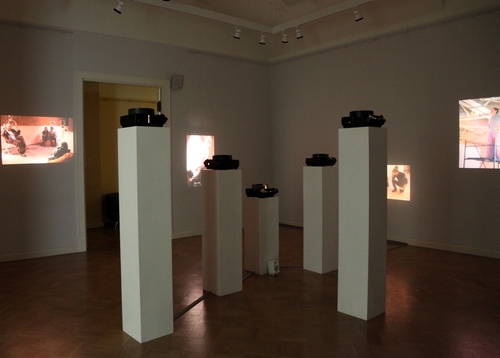 Old slide projectors create visuals for the installation: high quality images of new art forms in St. Petersburg. In the same time projectors take part in creation of sound: rhythmical change of frames "sings along" with Brahms' music. This symphony is conducted by a Mac. Spectator selects pictures which he likes from the kaleidoscopic abundance of those, thereby taking part in creation of this world, where old and new technologies achieve ideal consonance and classical music accompanies a rather non-classical look at the city.